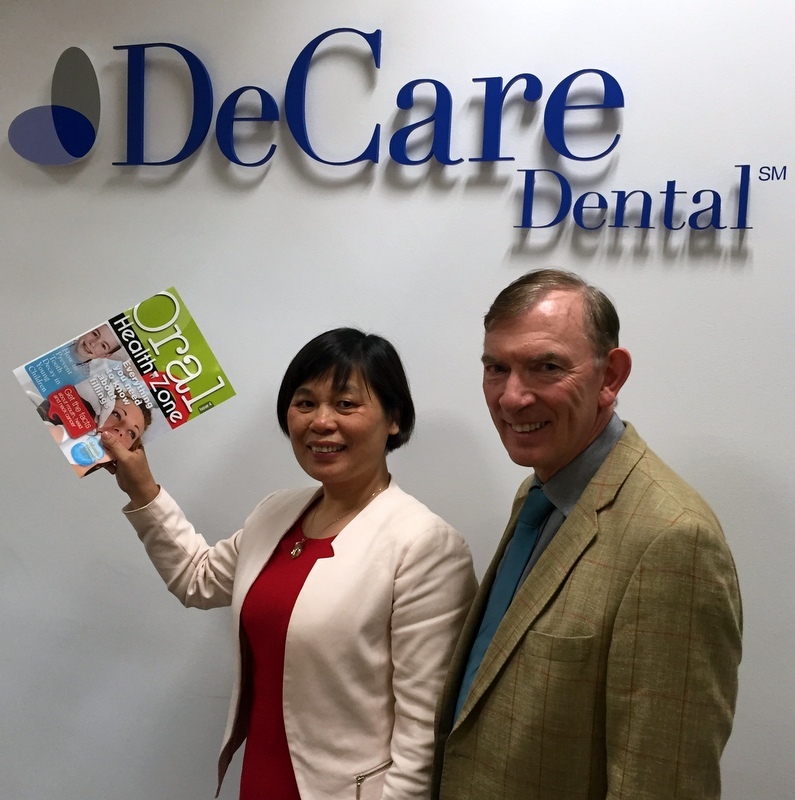 Professor Xiaojuan Zeng with DeCare Chief Dental Officer, Dr. Ger Gavin. Professor Xiaojuan Zeng a leading dental public health expert from China recently visited and toured DeCare Dental Insurance headquarters in Claremorris, County Mayo and DeCare European headquarters in Dublin. Professor Zeng was invited by DeCare Chief Dental Officer, Dr. Ger Gavin to see how aspects of oral health care have developed in Ireland and to look for possible synergies between Chinese and Irish systems. In Dublin Professor Zeng attended the Dove (Dental Overseas Voluntary Elective) Lecture at Dublin Dental University Hospital (DDUH) on Tuesday evening May 17th and heard Paediatric Dental Consultant Dr. Kirsten Fitzgerald give an outline of effective interventions for high risk children. She made specific mention of the effectiveness of the hall technique using stainless steel crowns on young children with caries instead of fillings and the use of silver diamine fluoride as a topical agent for high risk children of preschool age. 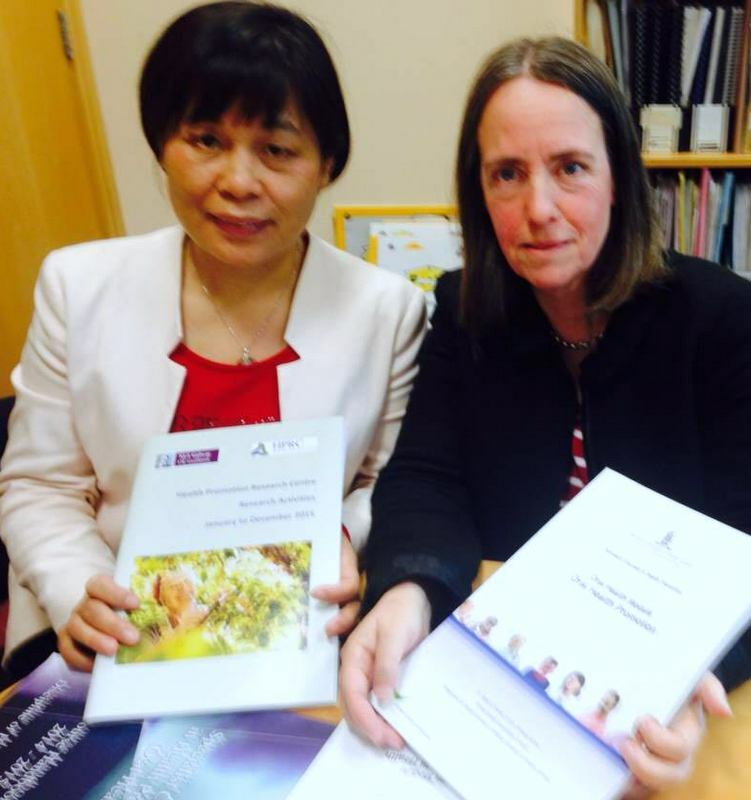 On Wednesday May 18th she travelled to National University Ireland (NUI) Galway to meet Director of NUI Galway Health Promotion Research Centre Dr. Jane Sixsmith and heard how oral health has become an integral component of the Health promotion curriculum. The distance learning structure of the specialist certificate in health promotion (oral health) and links with educational institutions around the country and primary health care is especially attractive in a Chinese context with many communities living in areas remote from regional educational centres. 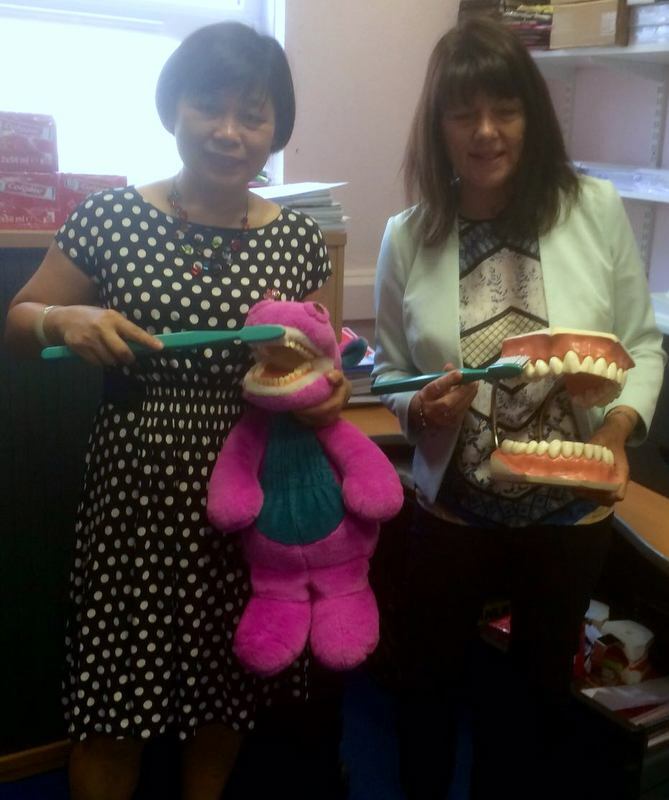 On Thursday morning May 19th Professor Zeng visited HSE Wellmou nt Health Centre in Finglas and met with Oral Health Promotion Specialist Ms. Deirdre Martin who gave an enthusiastic account of the organisation and implementation of the Mighty Mouth oral health education program for children in 110 primary schools in Dublin North City Region. HSE Dentist Dr. Feleena Tiedt spoke about the successful link between the schools oral health education program creating a supportive environment and the children’s preventive dental care program targeted at children in key age groups. On Thursday afternoon Professor Zeng travelled to Cork to give two 90 minute presentations about Oral Health and Dentistry in China and a detailed account of the government funded Guangxi (pop. 60 million) Oral Health project to the Master’s in Dental Public Health students at the Oral Health Services Research Centre, University Dental School and Hospital, Cork. Course Director, Dr. Mairead Harding thanked Professor Zeng for giving all present a fascinating insight into how dentistry was developing in China and in particular how dental public health was helping to shape a national response to the oral health needs of special ethnic minorities like those of Guangxi. 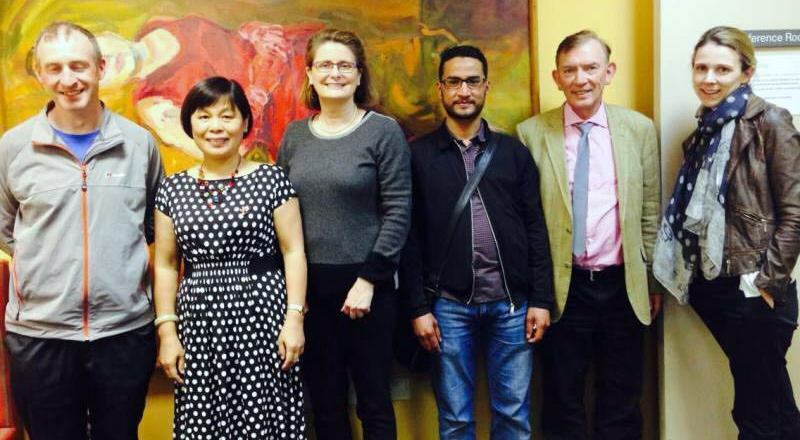 The final stop for Professor Zeng was a visit to the Department of Special Care Dentistry at Dublin Dental University School and Hospital on Monday May 23rd. Dr. Alison Dougal explained how teaching of special care dentistry up to Doctorate level has transformed how oral health care can be delivered to those with special needs. She outlined how most dental care for special needs patients can be delivered at primary care level and she also referenced the worldwide movement of Disability and Oral Health. She was excited by opportunities emerging for prevention like the possible use of silver diamine fluoride within the Guangxi Oral Health project facilitated by the dynamic role of the Centers for Disease Control (CDC) in every village. The possibility of collaboration between new large private dental hospital clinics in China and the public sector was also highlighted. Professor Zeng thanked all those who met with her for their warm welcome, their generosity with their time and their willingness to share all that was good between the oral health systems of Ireland and China.